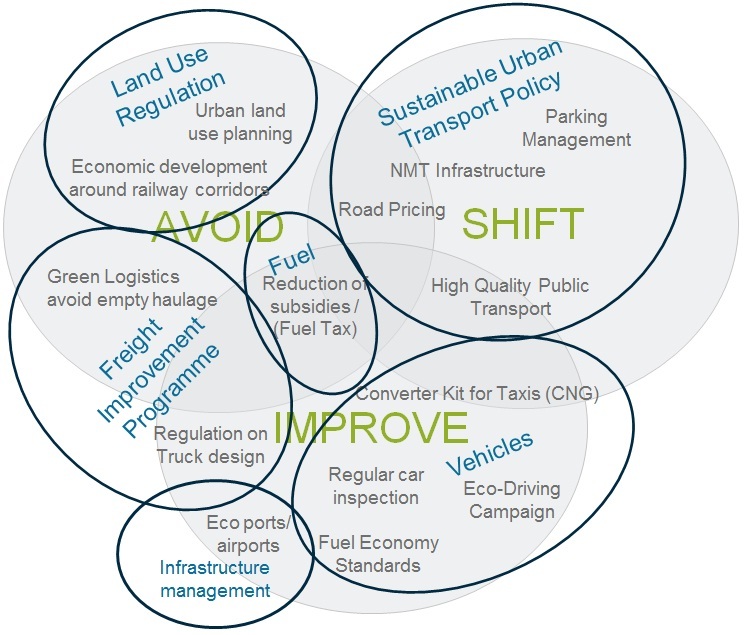 NAMAs can comprise any action plan, policy or measure that reduces greenhouse gas emissions; for this reason, an accurate impact assessment within the Avoid-Shift-Improve (ASI) approach is of great importance. 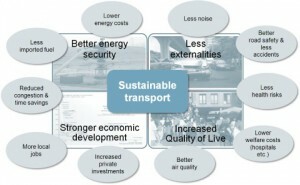 The range of potential interventions covers implementation of fuel-efficiency standards, improvements of public transport and non-motorised transport; parking management, replacement of vehicle fleets or land-use-planning can also be eligible. 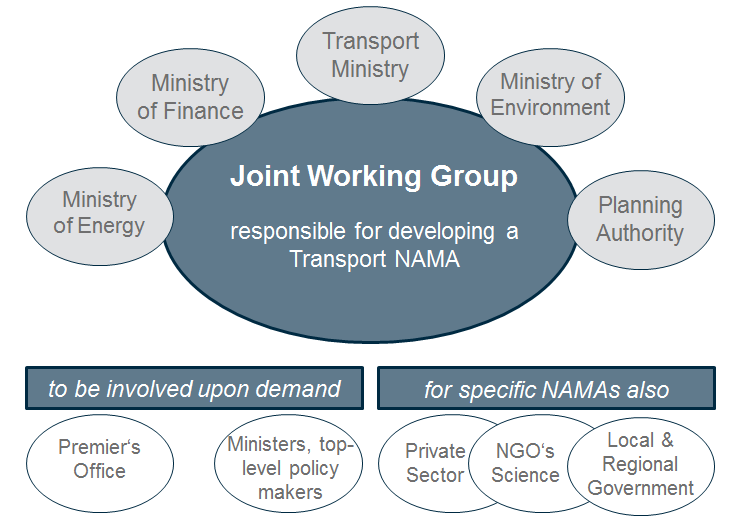 As most NAMAs are initiated on a national level, inter-ministerial coordination and a continuous joint working group are essential elements for a successful NAMA implementation. In addition to national government representatives, we recommend inviting local governments, NGOs, research institutes, and private sector representatives, as guests or full members. 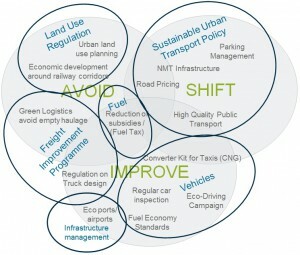 This facilitates a more balanced and consensus driven project agenda. Nevertheless, overlapping tasks and responsibilities should be avoided; thus due diligence and clear organisation during the planning process is vital. The working group’s activities might expand well into the implementation stage of the transport NAMA. At this stage it is wise to include experienced technical experts or relevant decision-makers who, by their position, are able to promote the outcomes of the working group within their departments. When it comes to an overall assessment, the numerous co-benefits, such as stronger economic development, increased liveability, less externalities and a better energy security must be highlighted.